Provide comfort for the family of David Demaree with a meaningful gesture of sympathy. David Harris Demaree, 73, passed away on Saturday, February 2, 2019. He was born in Coronado, California, and the oldest of six, Peter, Ann, Cecil, Maggie, and Chris. He had two loving parents, Ralph Demaree, and Anna Smith. David is survived by his wife, Penny Demaree, and two daughters, Michele Demaree and Danielle Peppler. He was blessed to be a father in law, to Bill Peppler, and grandfather of three, Will Peppler, Charlotte Peppler, and Blake Peppler. David, loved spending time with his family and took so much pride in being a father, and grandfather. He enjoyed singing, acting, church, the Redskins, and traveling the world. He will be missed and loved by everyone that knew him. He was one of a kind. A Memorial Service will be held at Holy Apostles Church in Satellite Beach, on Friday, February 15 th, 2019 at 10:00 am. The interment of ashed will follow the service in the memorial garden and a reception in the Parish Hall. In Lieu of flowers please send donations to www.msfocus.org, in honor of David Demaree. 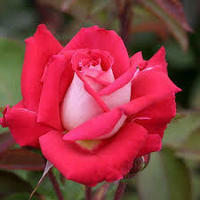 To send flowers in memory of David Harris Demaree, please visit our Heartfelt Sympathies Store. Richard, David, Nancy and Barbara Eaton (and famil sent flowers to the family of David Harris Demaree. Wishing you peace to bring comfort, courage to face the days ahead and loving memories to forever hold in your hearts. Much love to you. Richard, David, Nancy and Barbara Eaton (and famil purchased flowers for the family of David Demaree.